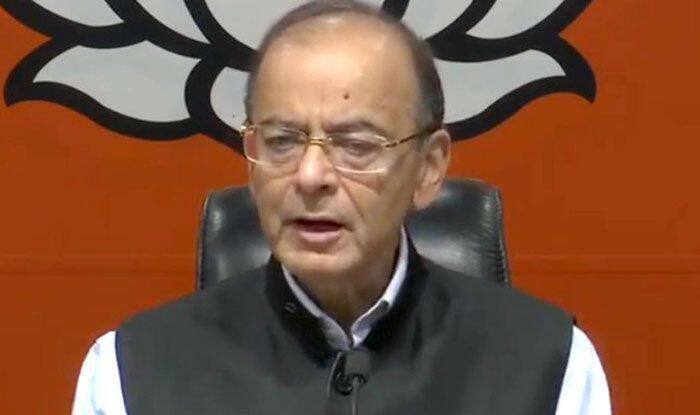 Union Minister Arun Jaitley on Wednesday wrote a blog attacking the Congress and JD(S) government over Income Tax department raids in Madhya Pradesh and Karnataka. 1. It has become a routine practice to call any action against corruption as political vendetta. Claim of vendetta has never been a legitimate defence in corruption. Those who commit such large acts of corruption have to be judged on the merits of the action itself. 2. In all States large amounts sanctioned by the Central and State Governments for public works, roads, housing, schools, dispensaries, panchayat facilities and several other public infrastructure, are created by Public Works Departments. These works are carried out by the PWD through contractors. Similarly, large amounts are sanctioned for the mid-day meal scheme which encourages poor children to attend schools and towards other schemes intended to provide a composite diet to pregnant women. In the public space evidence has come in relation to Karnataka where allocations made for public welfare to the Public Works Departments were being round-tripped by engineers for a political purpose. In Madhya Pradesh, an institutional mechanism has been created where money that is meant for development and social welfare of the weaker sections are now being channeled into politics. 3. Regrettably, none of the two State Governments have replied to the allegations on merits. An argument is being given by them as to why they are being singled out and their political rivals are not being searched. Is there a Right to Equality that no action can be taken till the opponents are charged? Revenue Departments act objectively on the basis of material available and take action when they are satisfied that a case of search operation is made out. 4. The fact that money is meant for the most vulnerable section of the society, namely, poor children or pregnant women belonging to the economically weaker sections are siphoned out, shows the mind-frame of those indulging in such an act. They do not even spare those who live in destitution. This is the hypocrisy of Indian politics. After inflicting such injustice they have the audacity to speak of Nyay.